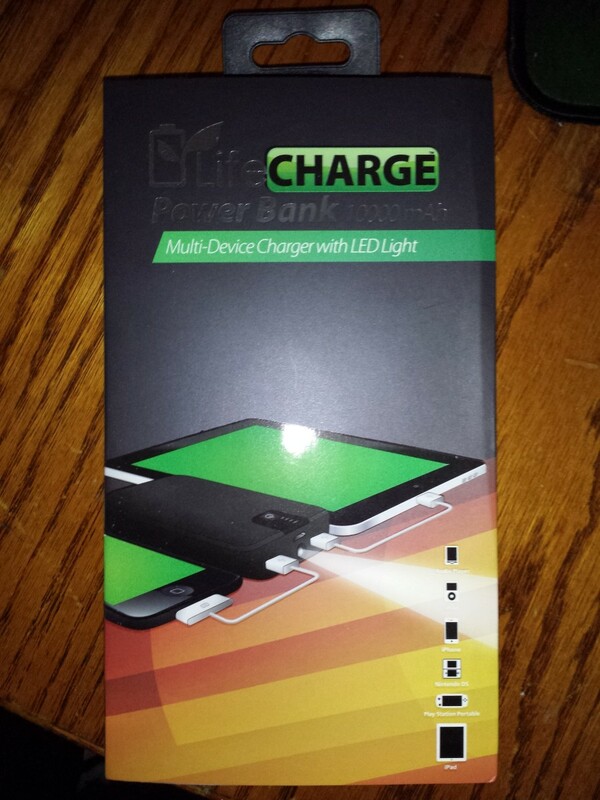 I own a few multi-chargers from brands including Anker, LifeCHARGE, and Kinkoo. I have written reviews on those, but this one is in another league entirely. 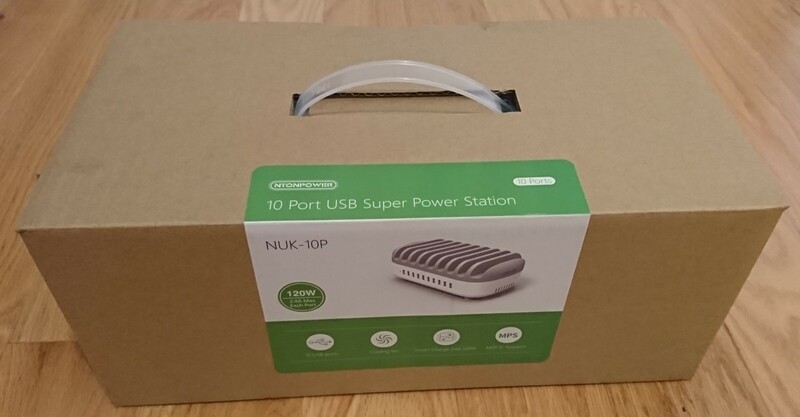 The NTONPOWER really stands for "a TON of power" being the first of its kind to offer 10 USB charging ports. I literally have not seen anything like this until I got the sample so I do look forward to reviewing this unit and seeing if it does hold up as promised. Although this is their official image, this was exactly the first thing that came to mind. It reminded me of those restaurants with the iPad ordering system. Typically sushi places, but I don't want to rule any other places out. In my actual test, I did not use 10 iPads so, of course, my layout won't be as clean as this. 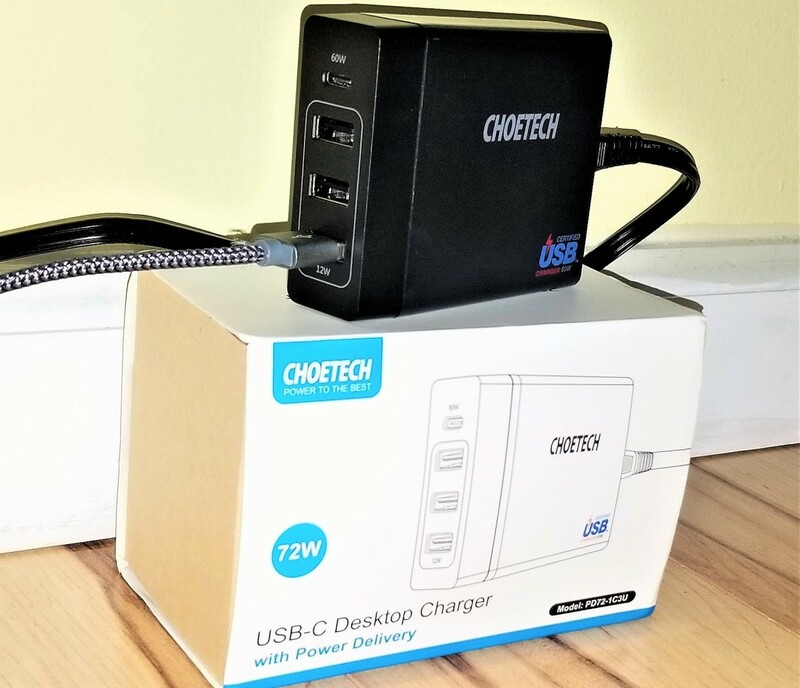 This is a good first image highlighting the potential for both personal and commercial uses for this multiple charger. There are a couple things I found really interesting with this multiple charger. The first is that it comes with its own cooling system. It has a fan built in to dissipate heat, which I think its very cool. 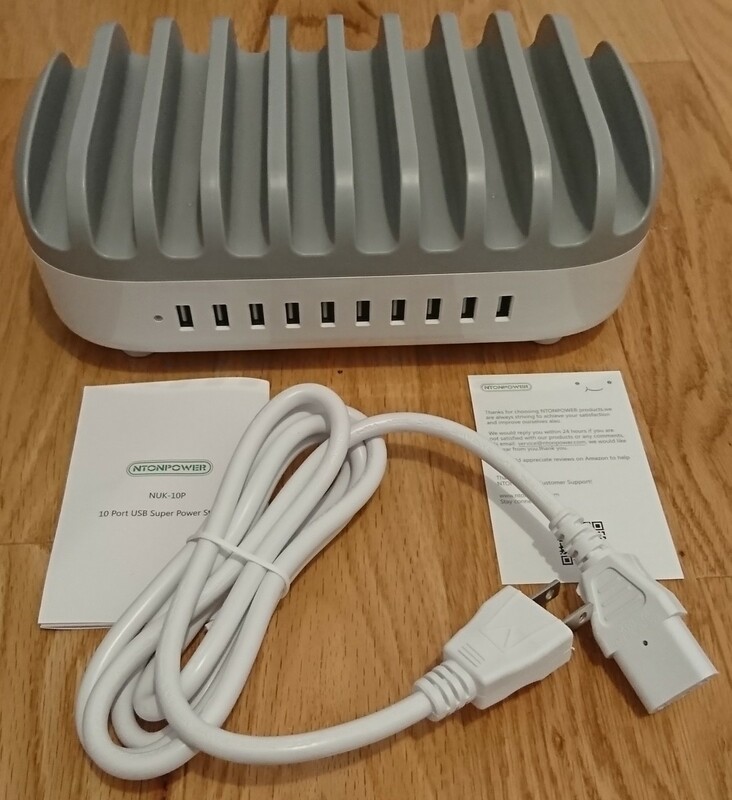 I have noticed that my Anker 5-port charger gets warm when I use four to five of the ports at once, but never really thought about actually cooling down the charger. I guess it is a different story when you have 10-ports versus just five. The second cool feature is the surge protection. Although I did not purposely try to test it, the cord does come with a third ground pin. Since I didn't do any teardowns, I would say you have to take their word for the surge protection. I do think it is cool and nice to see especially given that it is capable outputting 120W. Their temperature parameters is a bid weird here. It doesn't really specify what happens between the 45 degrees to 65 degrees range. I assume it is where heat is beginning to build up, but not high enough to trigger the cooling system. Therefore, the cooling system remains unactivated until the 65 degrees mark. 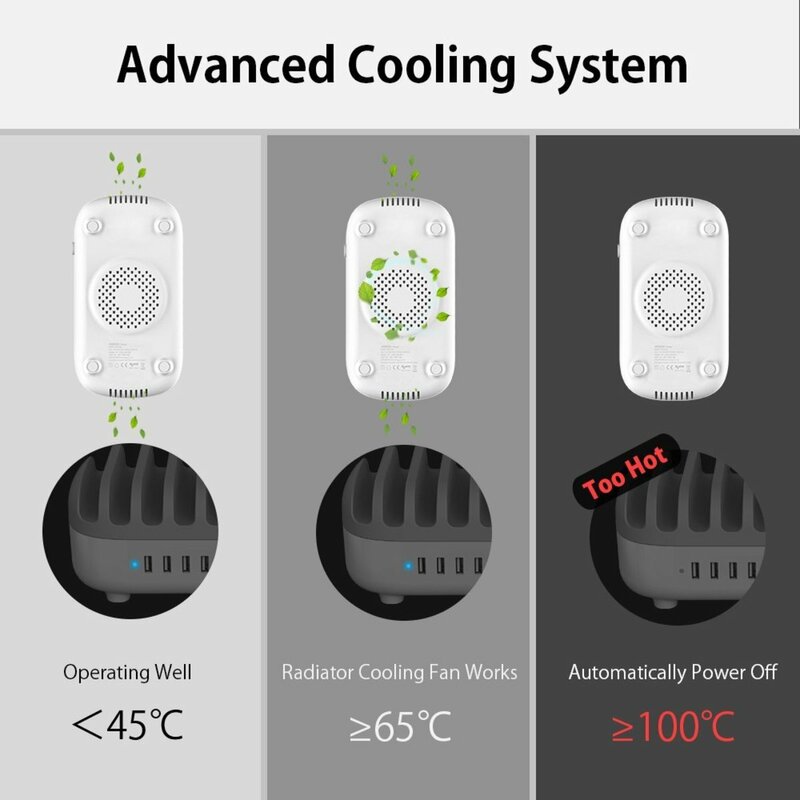 I say "assume" because my room temperature was actually a bit on the cooler side when testing out this unit so I did not experience it getting so hot that the fan kicked in. 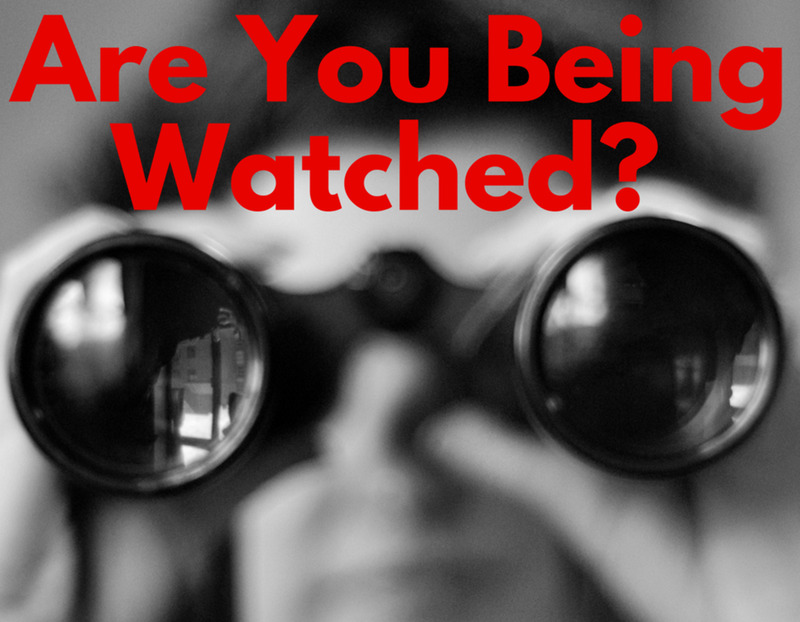 For the most part, it remains a silent operation. I will talk more about this later on. The box is actually bigger than what you probably will expect. The package dimensions measure 12.5 x 6.5 x 5 inches. I like to think of it as the size of a tool box. It looks exactly like one with its rectangular box and a handle up top. Like many of these accessories companies, I really appreciate the material use of recyclable cardboard instead of cling wrap and plastics. The contents unboxed remain pretty straightforward. You have the actual charging station that has 10 slots up on top to place and fan out your electronics. It comes with a detachable power cord. I actually prefer this over a built-in cord since it makes it much easier to pack up for transporting. Aside from the unit itself, there are two more pamphlets. The first is a customer contact card with the email address provided for follow-up questions and inquiries. The second pamphlet is a combination of the instructions and safety warnings. I really like it when manufacturers provide a way to contact them for further inquiries especially in the size of a business card. I prefer this over having to go online to their website and submitting a claim there. One thing that wasn't mentioned was the warranty policy. I wished this was included in the packaging like the other brands I have reviewed. I went hunting for it on their website and it seems that they provide a 30-day money back guarantee with an extensive 18 month warranty. This, once again, seems pretty standard and I do like how the industry standard is going beyond the one-year warranty mark. I assume this end is the back since the other side has all the USB ports. Naturally, I assume people want their cords easily reachable. I personally feel the power button design could be in a better placement. Since this is the back, it would be up against a wall or something. This would make turning the charger on and off a bit more difficult having to reach behind it. The good thing is that the power button is pretty big so you don't have to fumble around for it. I understand it would probably be difficult and cluttered, but I still prefer having the power button on the front or maybe side even. The four rubber bases secure the unit pretty nicely. It doesn't slide around easily so this is a good sign. 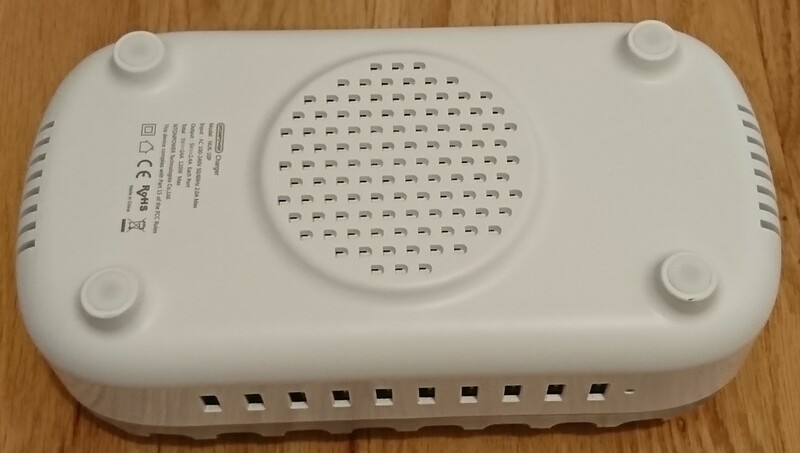 The ventilation is on both sides and directly at the bottom, but it appears there is only one fan in the centre. In terms of the fan kicking in, I never managed to activate it with 10 of my devices plugged in. As I mentioned earlier, my room temperature is on the lower side so this could have contributed to a lower operating temperature. Nevertheless, I take this as a good sign that the heat doesn't build up that easily. Since I don't have 10 iPads or phones, I decided to charge all the power banks I can find along with my Kindle. 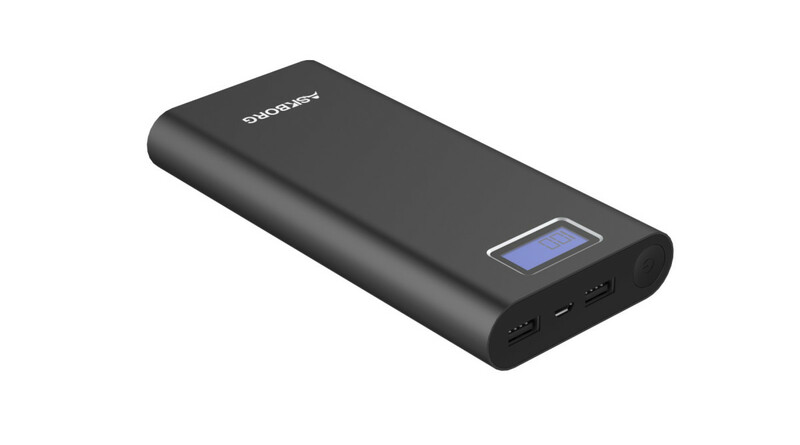 I think this ended up being a better solution than smartphones since power banks are higher capacity and would be a better measure of the efficiency. Now my charging setup is a bit messy because I can't mount any of the power banks. When setting up this charge test, I did come across one consideration I think users should consider. Most people, including me, probably have full length cords. This will be quite messy and difficult to organize especially with multiple devices. In the stock photo, there was quite a bit photoshopping going on to make the cords look shorter. However, I find that you may want to use shorter cords just so that they can be organized better and minimize tangling. I personally find that the 1 feet cord works best, but I do understand it is much harder to find versus the 3 feet and 6 feet cords. I do like multi-chargers and this is one powerful beast. 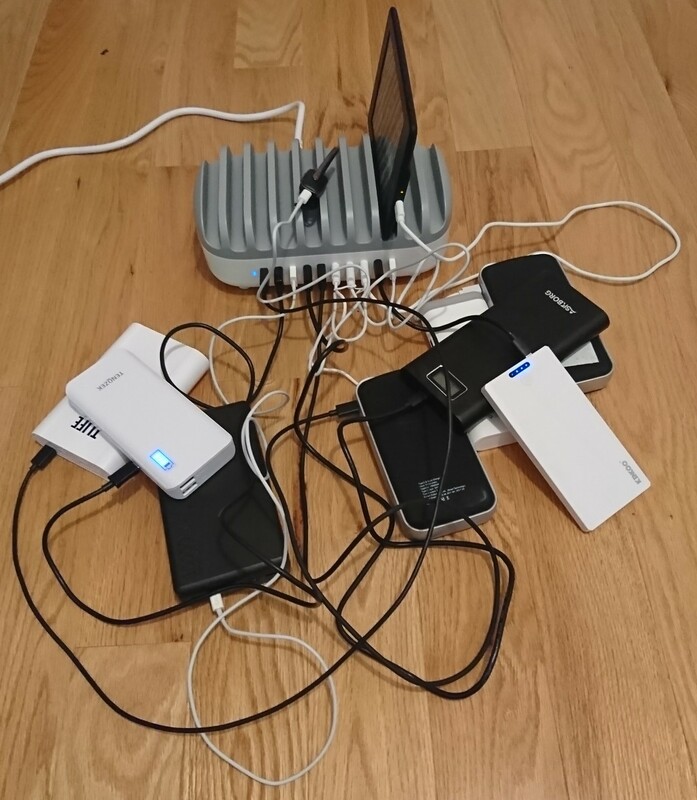 Like I said before, I have never seen any 10-port multi-chargers so this is definitely a first. I highly recommend it if you have multiple smartphones or tablets since the top organizational tool is very useful to keep everything in a neat fashion. With that said, this unit is excellent for both personal and commercial uses such as living rooms or common areas in offices. 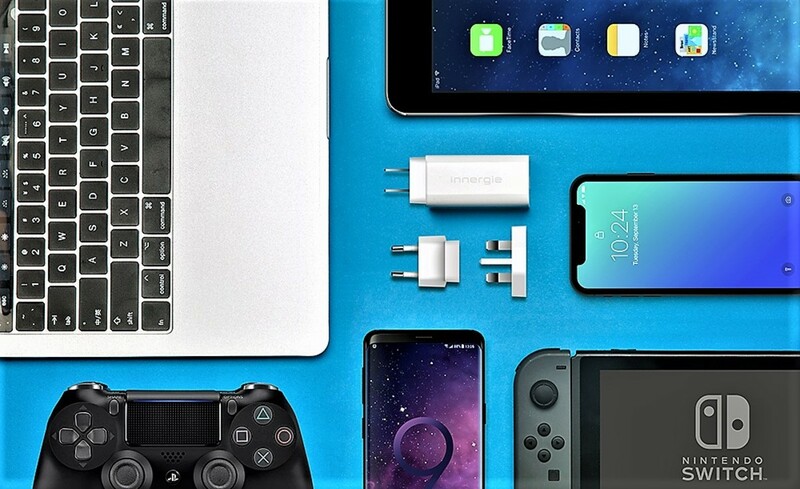 I mention smartphone and tablets because I find that the cables will get messy if you are looking to charge multiple power banks. 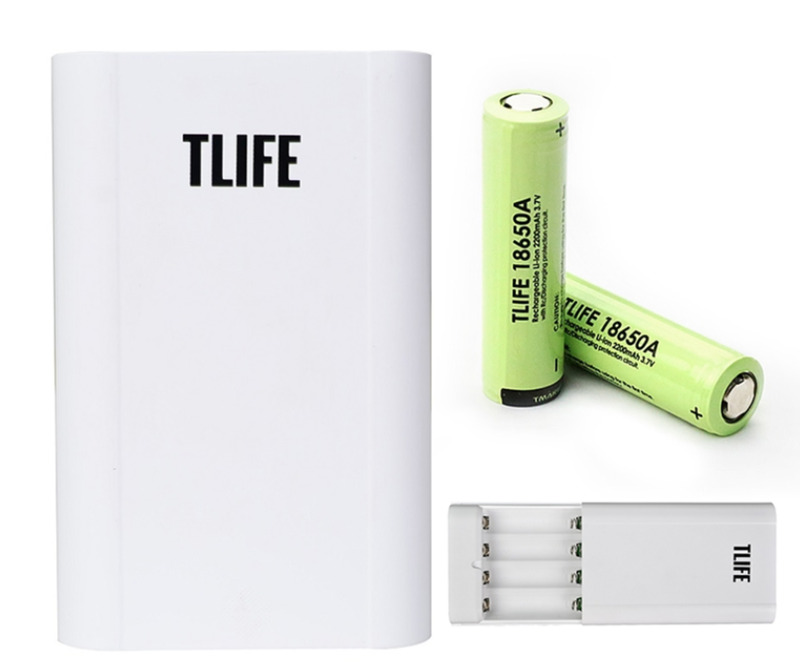 A smaller 5-port multi-charger might do the trick better for power banks where you can stack them together. As far as the performance goes, it has been spot on. I would've liked to see better labelling on the heat dissipation specifications, but it seems to handle the job of utilizing all 10 ports without a problem. I have not noticed any whirring fan noises so this is a good sign that heat does not build up easily. 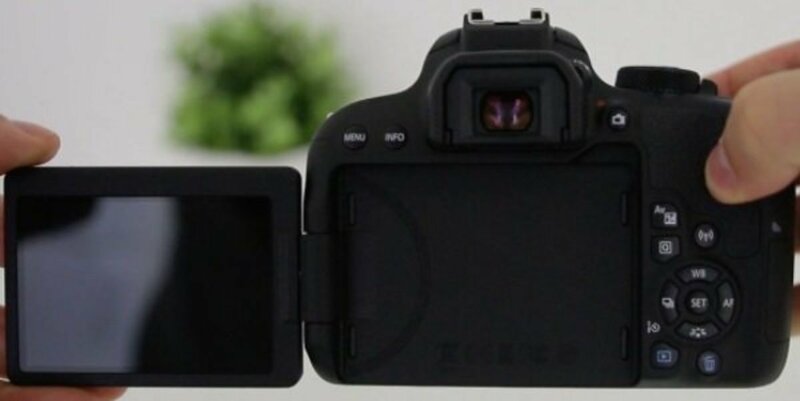 Overall, the build quality is solid and the design is well thought out. The only thing I would've liked improved is the location of that power button. 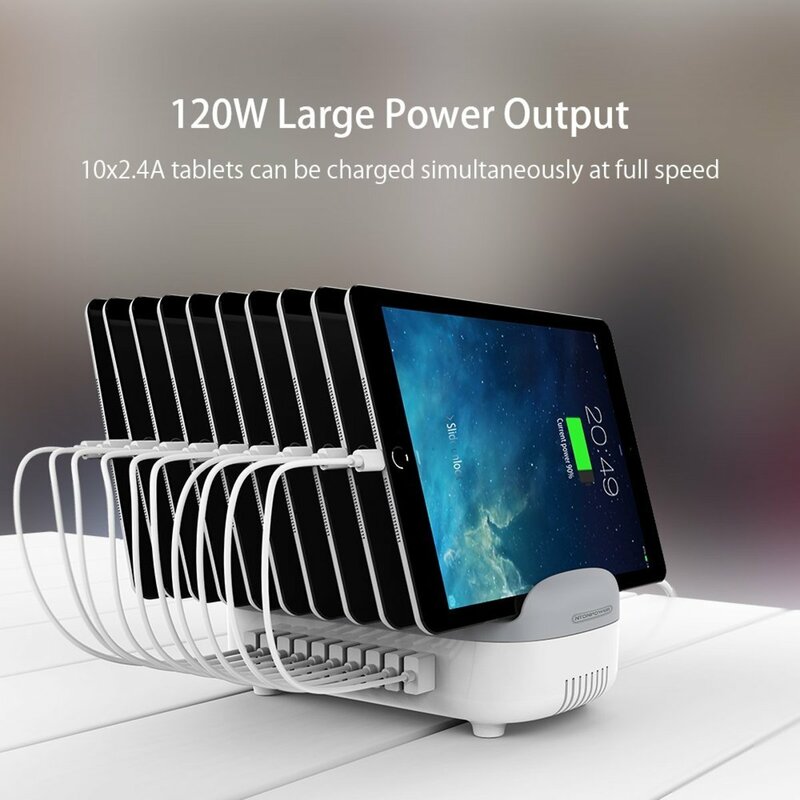 How interested are you in this multi-charger?